Industrial sustainability: paradox or paradigm? Dr Doroteya Vladimirova from the Centre for Industrial Sustainability contends that manufacturers need to start doing business differently if they are to create value for themselves and for society as a whole – even if that means working with some of their competitors. The interconnected nature of the world today means that local disruptions can have global repercussions. Financial crises, extreme weather conditions, social calamities from near and far have an impact on even the most affluent nations. And increasing competition for finite resources, volatile commodity prices and climate change mean that manufacturers will be forced to do business differently in the future. At the Centre for Industrial Sustainability, it is our job to worry about the future. The increasingly urgent need for companies to do things differently and responsibly, and for them to embrace a long-term view of prosperity has informed three areas of our research: what do we mean by ‘value’ in the context of sustainability, how can we develop more sustainable business models and how can we experiment with business model innovations in a risk-free environment. At the Centre for Industrial Sustainability, it is our job to worry about the future. What is ‘value’ for sustainability? Organisations talk about ‘value’ all the time, but what do they really mean by it? Defining value has been a source of contention since Plato and Aristotle and even after 2,000 years of discussion, its meaning continues to evolve. Economic philosophers and scientists made Adam Smith’s view of ‘value’ the cornerstone of economic thought and it is this view which largely prevails in today’s business practice. However, more recent debate has seen a shift from Smith’s ‘exchange value’ to thinking more in terms of ‘value-in-use’, as manufacturers move towards more service-based business models with a stronger customer focus. Most recently, Michael Porter and Mark Kramer have been writing influentially about the concept of ‘shared value’, suggesting that economic value should be created in a way that also creates value for society by addressing its needs and challenges. Sustainable economic value which includes growth – profit, return on investments, financial resilience and the long-term viability and stability of the business. Sustainable social value which includes poverty alleviation, social justice, equality, well-being, community development, long-term employment, secure and meaningful livelihoods, labour standards and practices, wages, code of conduct, career development, health and safety and diversity. Sustainable environmental value which encompasses the use of resources at a rate at which they can be renewed, ensuring that emissions and waste are at a level that can be metabolised safely by the environment, protecting bio-diversity and creating positive benefits for the environment to counter past excess. We need business models that can reconcile how a company can create and deliver value for its multiple stakeholders while capturing value for itself. What are sustainable business models? Having a clear definition of ‘sustainable value’ is important when we start thinking about sustainable business models and what they might look like. We need business models that can reconcile how a company can create and deliver value for its multiple stakeholders while capturing value for itself. However, the changing resource landscape creates opportunities for innovation. The challenge is to rethink the manufacturing industry as a network of complex and evolving relationships, and to understand the changing pattern of the movement of value and the value creation among the network actors. Collaboration in business may seem counter-intuitive to competition. However, several highly competitive sectors such as automotive, furniture and FMCG are working together in order to achieve energy and resource efficiency. Companies such as Xerox, Kingfisher, British Sugar, Unilever, Marks & Spencer, Vitsoe, Toyota, Riversimple – to name but a few – are engaged in innovative and disruptive cross-sector initiatives for sustainability. These kinds of activities involve significant changes to overall business processes, resource flows and activities – both at the company and network level. The research suggests that it is helpful if those involved take a holistic approach to redesigning their business models using a ‘shared value’ perspective. Our tools enable organisations to work together in ways that increase value and reduce resource and energy demand and deliver positive social impact. 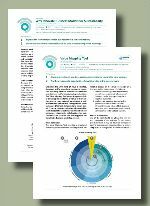 Research and practice on business model innovations to support industrial sustainability are developing rapidly in areas such as product-service systems, closed-loop business models and industrial ecology. However, there is still relatively limited understanding of how manufacturers, consumers and other stakeholders need to behave in order to support successful innovation for sustainability. Naturally, companies want to be able to predict how their actions will affect the value they create. But in order to do this, they need to be able to manage information from the complex network they operate within and do so throughout the lifecycle of their products. This means taking account of all network stakeholders, including suppliers and partners, customers, investors and shareholders. At the same time, all business relationships include not only formal contractual activities but also informal exchanges of information and benefits. Identifying all the value flows within a network can reveal opportunities for innovation and improvement. The challenge then is how to envisage and design the right future business model. Which takes us back to our third area of research activity: how to experiment with business model innovations in a risk-free environment. We are doing this by developing new business modelling tools which analyse and illustrate the movement of value in order to identify practical and profitable opportunities for business model innovation. Our tools also enable organisations to work together in ways that increase value and reduce resource and energy demand and deliver positive social impact. Our ultimate goal is to give organisations the tools to create their own transformation pathways to new, more sustainable business models and enable them to enter new collaborations which will result in a significantly higher level of sustainable business performance and organisational health. The growing recognition that current industrial practices cannot be sustained in the long term brings challenges, opportunities and hopes for both industry and academia. The expanding perception of ‘value’ beyond its economic monetary meaning and business models which treat the natural environment and society as equal stakeholders of the company are slowly becoming part of our reality. The task is to reduce the uncertainty and risk to allow such changes to be widely adopted. We have a difficult job ahead of us but today is the time to invest into the future. 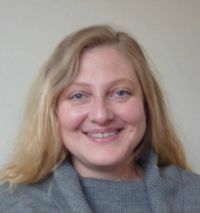 Dr Doroteya Vladimirova is a lead researcher at the EPSRC Centre for Industrial Sustainability specialising in strategic change and transformation towards new business models. Her focus is on transformations from products to product-service systems and business model innovations which lead to more sustainable organisations. 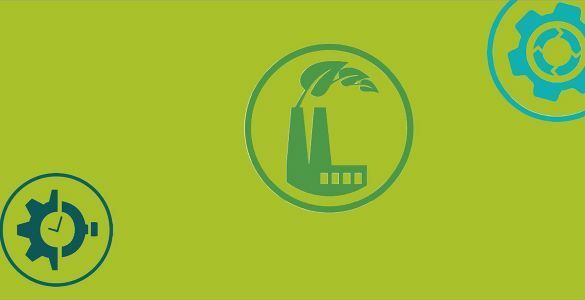 The Centre for Industrial Sustainability is the lead research partner in the EPSRC Centre for Innovative Manufacturing in Industrial Sustainability, along with Cranfield University, Imperial College London and Loughborough University. Redress is a project with Marks & Spencer, funded by the Technology Strategy Board, looking at how business model and supply chain innovation can drive garment recovery and retained value. It also seeks to accelerate Marks & Spencer’s Plan A commitments to reducing waste by trying to decrease the environmental impact of raw materials in its clothing supply chain. The outcomes of the project can be applied to textile and other sectors. The Business Models for Sustainable Industrial Systems project is funded by the Engineering and Physical Sciences Research Council (EPSRC) and aims to develop a novel way of helping companies find and visualise opportunities for business model disruptions and innovations that result in more sustainable businesses. Agent-based modelling techniques will be applied to unravel complex behavioural characteristics and contexts that have the potential to disrupt the current business model. The team will develop an ICT business modelling tool to help companies understand, design and test new business models through rich visual simulations. A set of ‘Quick Guides’ is available for download from the EPSRC Centre for Innovative Manufacturing in Industrial Sustainability website here. The Quick Guides aim to make the knowledge generated by the researchers in the Centre accessible for industry and businesses. They are clustered around three main themes: sustainable business models and strategies, eco-efficiency and processes and eco-factories.